So the question is – how does it run? 🙂 I’m a tremendous fan of coding on the go (and on the cheap, my mid-2000s OQO fixation notwithstanding) and I’m considering the Venue 8 Pro as my next platform. I’d love to read your thoughts about how it works as a platform for getting programming done. Thanks! Phil – I’m waiting for the keyboard attachment to arrive. Once I have that, I’ll post my feedback. VS appears a bit slow, but it’s probably fine for small tasks. I won’t know until I’ve hooked up that keyboard, though! Thanks for the lesson. Although I am not very computer literate, it was probably the information I was looking for. I want to turn the microsd slot into a “D: drive”. If I’m not mistaken, that is what your article is about. More or less? Robert, it’s a bit more complicated than that. 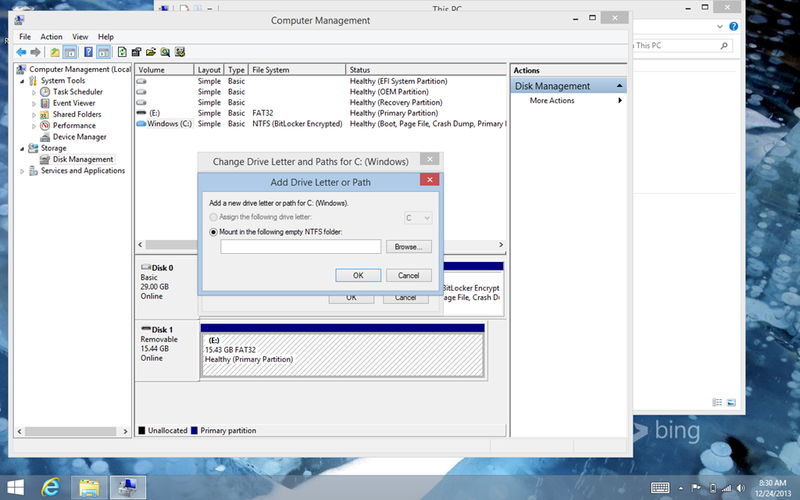 By simply inserting the MicroSD card, you’ll get a D: or E: drive… Those letters are assigned by Windows. 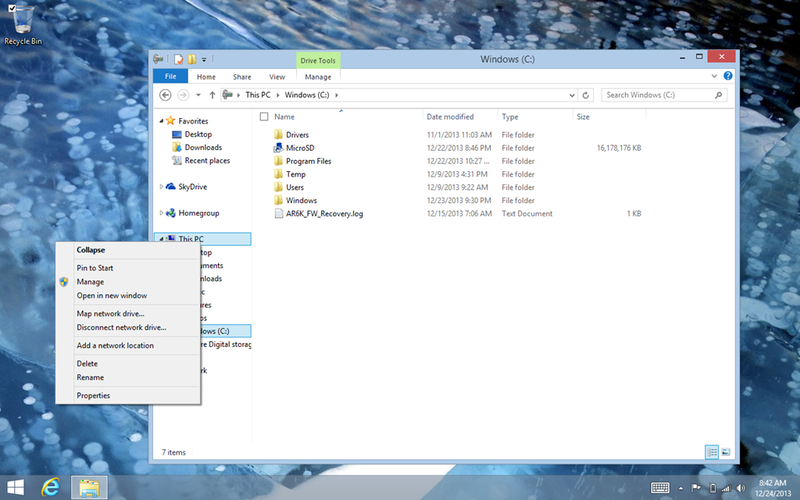 You can manage those drive letters in the more advanced Disk Management interface in Windows, which I discussed in my post. However, if all you want to do is install a program on your MicroSD card, you shouldn’t have trouble with most programs. You’ll simply point them to your MicroSD card as you would on your regular computer. Visual Studio is a different beast, and it won’t install on external or removable devices without a bit of trickery, hence the purpose of my write-up. Yes, I do want to install programs, music, or photos into the MicroSD card slot. Would I need Disk Management to do that? I plan to continue researching because I’d like to find a working 64gb card. Hi, have you tried using widi/miracast to an external display? If so what resolution does it get too? Also, can you connect a bluetooth keyboard and mouse at the same time? Oddly, I don’t believe I have any Miracast-compliant displays at home, so I can’t say. Regarding Bluetooth, that shouldn’t be a problem. I’ll know more when I get my Dell keyboard … hopefully within the next few weeks. Generally you won’t have to. Just make sure you don’t install software and remove the MicroSD card! I have a Dell Venue 8 pro and am eagerly awaiting your results. I’m ready with my bluetooth kb and mouse … wide eyed .. I installed it, and it works fine. The sd card is critical. Screen didn’t get any bigger. LOL. Shame they didn’t put an hdmi port on it. It could have been perfect. Hope this helps. I use two monitor setup. Charging circuit u can mail me I will send you the pics, diagrams etc. Also I have posted my videos on YouTube. You may check. This worked brilliantly. Thanks for posting! It depends on your interpretation of such. I wouldn’t run it as a standalone server. There’s just not enough memory. Why SQL 2005, anyway? Love all the tips on v8p. Just replaced my workstation with one & a Targus dual video dock (cost more than the tablet…but works great). With two external monitors, wireless keyboard/mouse, 100/1000 network… this thing’s a beast. Was really surprised how powerful this little tablet is. Thanks again & keep up the good work. Hi guys I have a Dell Venue 8 PRO. I have connected a 7 port hub. Connected two external Monitors 22 inches to it. 2 pen drives, one hard drive, printer, Rapoo wireless keyboard and mouse dongle and DVD writer. The 7 port hub has individual switches. Therefore I switch on ports that I need. While switching off don’t forget to unmount device first. I use USB 2.0 TO VGA ADAPTER from DisplayLink. I have a 64 GB SD card in it. 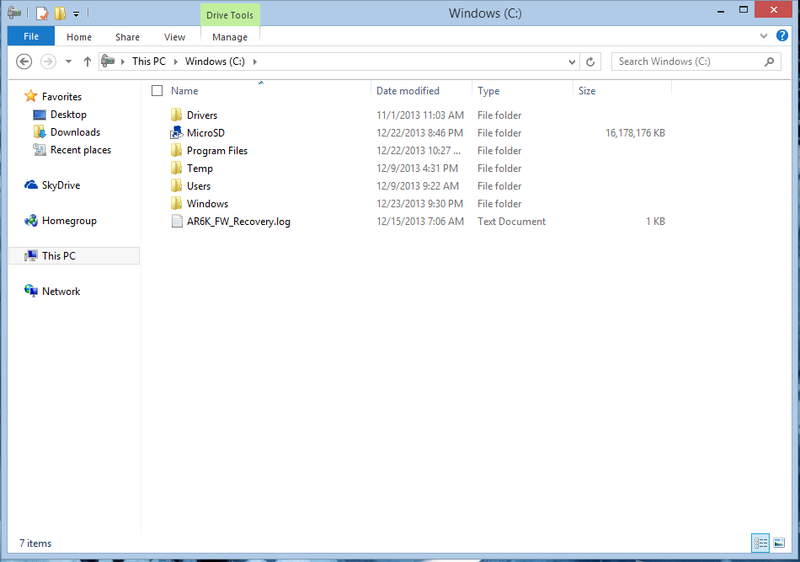 But still was unsuccessful to install my graphics softwares on external. I am really an idiot to buy a 32 GB version I thought. But let me Check if above posts can help me mount my SD card and get all my softwares run on SD cards. I will post again if successful. I have the Dell Venue Pro 8, and to solve the AC power or USB drive but not both issue, I rewired a cheap USB hub to do both. Basically Windows will only recognize the device as “AC plugged in” (not trickle charge) if the two data pins are tied together when the cable is initially attached. Once that happens, as long as you don’t disconnect the power pins, you can unpair the data pins and connect to the USB hub. It’s hard to explain without wiring diagram, but what you end up with is a hub with an on/off switch, with one port rewired to be dedicated to connecting to the tablet with continuous power and the hub’s wire connects to power supply. You connect the tablet with the hub “off” and the tablet sees power + paired data pins so it registers as “plugged in”. Then you hit the switch, and the tablet sees the USB hub. Now you’re free to plug in any USB device. I use mine all the time. Hello there! Can you please help me out with something? I don’t quite understand 2 of these notes of yours..
– Remember, this is a tablet with 2 gigs of RAM. Don’t install SQL Server and the like. – Don’t run servers on your Venue Pro unless you want to kill the battery. Yeah, it’s Quad Core, but it’s also a low power processor built for on-the-go computing. I am a computing student & plan to use an 8″ Windows tablet for doing work on the go such as Java & HTML5/PHP coding as well as dealing with databases… The programs that I need to install include XAMPP, and if I’m not mistaken, involves SQL server or something. Is it ok for me to install & run these programs? :S Please reply ASAP! XAMPP is a Windows version of the LAMP stack, which is basically Apache, MySQL and PHP, on the OS of your choice. The Venue 8 Pro will probably be a bit slow for what you want to do, although it’ll work. You’ll probably want to get the Microsoft Wedge Keyboard rather than the Dell Venue 8 Pro keyboard, which is horrible. Good luck! Slow it may be, but will it affect the limited RAM as you mentioned on the article? I’m just worried about that.. If installing such apps will take up much of the memory… But speed-wise I dont mind.. Cz I know this is a small tablet with a low-voltage CPU. Well, of course it will 🙂 There’s only 2GB of RAM. I wouldn’t expect too much productivity, but it will work. Thinking about buying one of these instead of going all out on a Surface. How is the running temperature of the tablet? Any heat issues? I had no complaints. After Dell replaced it, the clock won’t update. Not sure why, but I haven’t used it lately. I wanted to install Windows 10 on it, but couldn’t; probably due to 32-bit version of Windows installed, even though it’s sporting a 64-bit processor. I tried your method and it installed great, but somehow the bulk of the files have been installed on the ssd and the SD card (NTFS) only shows 2-3 gb of space taken, even though I created a SDCard folder and pointed it to the card. It seems my install went backwords? Such an old article and still useful, you just saved my life!